Shakespeare in Love: I saw this movie around the time we started studying Romeo and Juliet in high school, I think. Of course, I already knew the basic story and the very basics of Shakespeare's life by this point; soon after, I went into my Tudors-obsessive phase. Shakespeare in Love is the very fictional story of William Shakespeare, playwright, actor, and currently suffering from writer's block. He's beginning work on a new play when Viola de Lesseps disguises herself as a man to audition--and the two fall in love. It's a dramatic comedic love story with a lot of jokes and allusions to Shakespeare's work. Titanic: Look, there's nothing as rabid as a 12-year-old girl's love. And even now, I have to count Titanic in this list because anytime I stumble across it on cable, I'm still swept away by this utterly improbable love story surrounded by the quite historically accurate tragedy of the great ship sinking on her maiden voyage. Also--I still maintain that Rose could've made room on that door for Jack. Bright Star: This is a delicate, small film with a great love story at the center--that of the real life relationship between English Romantic poet John Keats and Fanny Brawne. Many of Keats' letters to Fanny are featured here and this movie made me go and read Keats' poetry. Sadly, John Keats died young from tuberculosis. Fanny Brawne went on to marry and have children, but she never sold the letters Keats wrote to her. 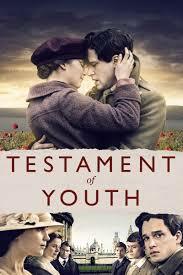 Testament of Youth: This is a quiet but powerful movie. Based on the memoir Testament of Youth by English writer Vera Brittain, the film begins with the young Vera Brittain determined to study for and enter Oxford--something women didn't necessarily do in Edwardian times. Her closest friend is her younger brother Edward; Edward, in turn, is close friends with Victor and Roland. 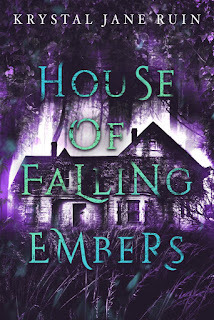 Roland is an amateur poet, as is Vera, and the two find a connection in one another. Vera gets in to Somerville College at Oxford and Roland is also Oxford-bound. But as they fall in love hard and fast, World War I begins and Roland enlists. Then Edward enlists. Then Victor enlists. And Vera no longer feels like she can simply continue on in her studies and becomes a Voluntary Aid Detachment nurse. Becoming Jane: Like Shakespeare in Love, Becoming Jane is another fictional story about a famous author. Jane Austen is portrayed as a slightly absent-minded but strong young woman, a little out of step in her society, when the worldly Thomas Lefroy appears. In real life, Jane and Tom seem to have had something romantic occur, though it did not go to the extent in the film. Still, what's a little inaccuracy when compared to James McAvoy? The Painted Veil: This is a movie about a self-centered society girl who marries a nerdy bacteriologist who works in Shanghai in the 1920s. Their marriage is not happy--there's an affair, a threat of divorce on the grounds of adultery, and a move to an inland Chinese village where Walter helps to combat a cholera epidemic. Jane Eyre: Even before seeing this or reading the novel, I knew that Rochester was a Byronic hero, Jane Eyre had a tragic backstory, and there was a wife in the attic. When I saw the movie, I was surprised at the depth of it--and the bleak but beautiful atmosphere of the moors. 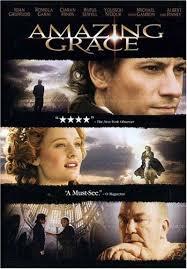 Amazing Grace: Before I saw this movie, I knew approximately zero about William Wilberforce, the Member of Parliament in the late 18th century who proposed, again and again, that Britain abolish slavery. I can't say that this movie actually makes it into my top ten, but it is a very good representation of the work it took to get the abolition movement going. The Notebook: Look, I'm a sap, okay? It's not well-known. But anyway, yes, the tale of Noah and Allie in the 1930s and then the 1940s is a hugely sappy love story. But the 1940s fashion gives it a different vintage and the modern day story adds a different aspect to this movie. The New World: I went through a Pocahontas phase when I was about 12. I was all about Williamsburg and Jamestown then, so much so that I was really excited when this movie was released nearly a decade later. A live action motion picture about Pocahontas! Finally, a movie about the first English settlement in America revolving around the famous Native American woman who dealt with them. Although the movie features an inordinate amount of voiceover, the visuals were gorgeous--it really gives you a sense of the "untouched" natural setting of 17th century Virginia--and the acting was amazing. Plus, it's far more factually accurate to Pocahontas' story than the Disney version. The Notebook, huh? :) I didn't know it was historical. I was also obsessed with Pocahontas. Not a fan of Disney's version, but of course, I played and still play the soundtrack out. I haven't seen The New World. Not sure why. I'm thinking it's time! The Notebook involves WWII at one point, so it definitely counts as historical. Amazing Grace sounds good. Might have to check that one out! 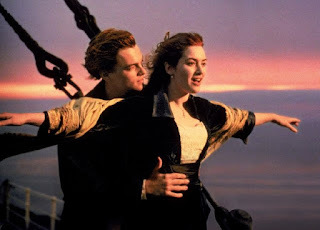 Yup, Titanic! Amazing Grace was really interesting. A bit Hollywood, but still interesting. If the new Star Wars movie beats Titanic or Avatar in box office sales of all time, I will go into hiding for a year! That CANNOT happen!! Looks like it might. I've never seen any of the Star Wars movies, so it doesn't mean a whole lot to me, but some people are really, really into it. Hi Shell Flower! Glad to meet another sap who loves historical fiction!